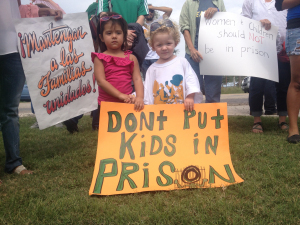 WASHINGTON—Catholic and Evangelical Lutheran bishops visited with young mothers and children who have fled violence in their home countries and are now incarcerated at Dilley Detention Center in Dilley, Texas, on March 27. The faith leaders called upon the federal government to halt the practice of family detentions, citing the harmful effects on mothers, children and the moral character of society. Archbishop Gustavo García-Siller of San Antonio, Texas, whose archdiocese includes Dilley, was joined by Bishop Eusebio Elizondo, auxiliary bishop of Seattle, and Bishop James Tamayo of Laredo, Texas. Bishops Michael Rinehart and H. Julian Gordy of the Evangelical Lutheran Church in America also joined them on the visit. Since last summer, the Department of Homeland Security (DHS) has detained hundreds of families at detention centers in New Mexico, Texas, and Pennsylvania, under a new family detention policy aimed at families fleeing violence in Central America. 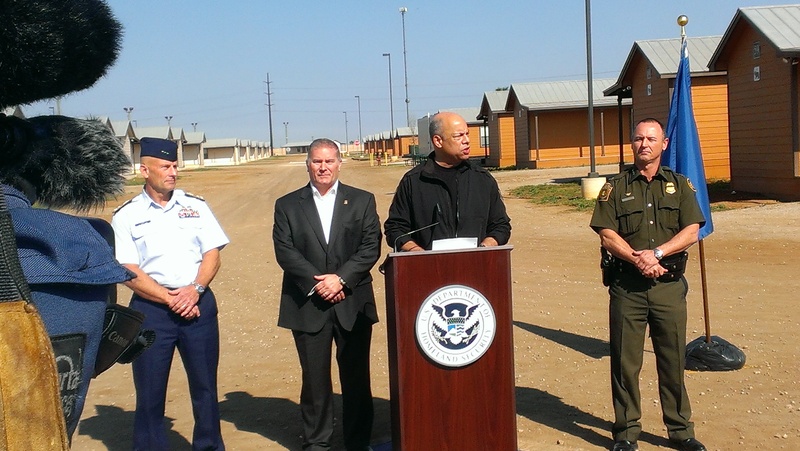 Bishop James Tamayo of Laredo, Texas, said humane alternatives to detention exist and should be used for the population. Click here – Demanding Dignity – to see more from USCCB on family detention. As faith leaders representing churches, synagogues, and faith-based organizations in the United States who are deeply committed to upholding this country’s moral leadership to protect children and the sanctity of the family, we call on you to end the harsh policy of family detention and employ alternatives to detention where deemed necessary. We believe this practice to be inhumane and harmful to the physical, emotional, and mental well-being of this vulnerable population. We also believe that it is inappropriate and unjust to seek to deter anyone, especially a woman and her children, from fleeing violence in their homeland to seek safe haven in the United States. 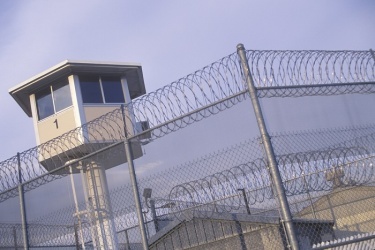 A recent decision by the U.S. District Court in Washington, D.C., which issued an injunction halting the detention of families, agreed with this assessment, concluding that a strategy of deterrence does not warrant the deprivation of individual liberty. As people of faith, we are guided by admonitions to care for and protect children. Studies have shown that detention has a harmful psychological effect on children, in which they grow despondent, lose weight, and do not advance in their intellectual or emotional growth. Detention also undermines family bonds and parental authority. Moreover, children and their parent(s) have already experienced trauma on their journey, with many of the women having endured sexual violence. Placing survivors of violence in detention only adds to their trauma and sense of insecurity. It also subjects them to possible further emotional or physical abuse. These families are not a threat to our communities—they pose no risk to our safety and have committed no crimes. They are themselves fleeing real forms of terror, with a majority having valid asylum claims. While in detention they have less ability to access counsel to help them with their claims, leaving them without due process protections. Their detention also hinders the ability to gather evidence of their persecution, diminishing their chances of obtaining protection. Instead of incarcerating these vulnerable families, we urge you to reconsider the need to detain them and release them on their recognizance or explore other alternatives, such as placement in a community-based case management program. Mr. President, detaining mothers and babies who come to this country in search of refuge from violence and abuse is morally troubling. The Bible is very clear—we are called to welcome the stranger. We ask you to consider whether you are prepared for your legacy to include the purposeful detention of innocent mothers and babies in furthering an ineffective policy of deterrence that violates fundamental tenants of our faiths and the American ideal of providing freedom and refuge to the persecuted. The incarceration of vulnerable mothers and children fleeing violence in their home countries is a stain on the record of this Administration. We urge you to reverse course on this policy and implement alternatives for all families in immigration detention which are humane and uphold the human rights of this vulnerable population. Our faith communities are ready and willing to welcome and assist families seeking refuge. This entry was posted in Uncategorized on March 29, 2015 by shvmblog.